Fairbairn House Heritage Centre showcases the history of the Gatineau River Valley. 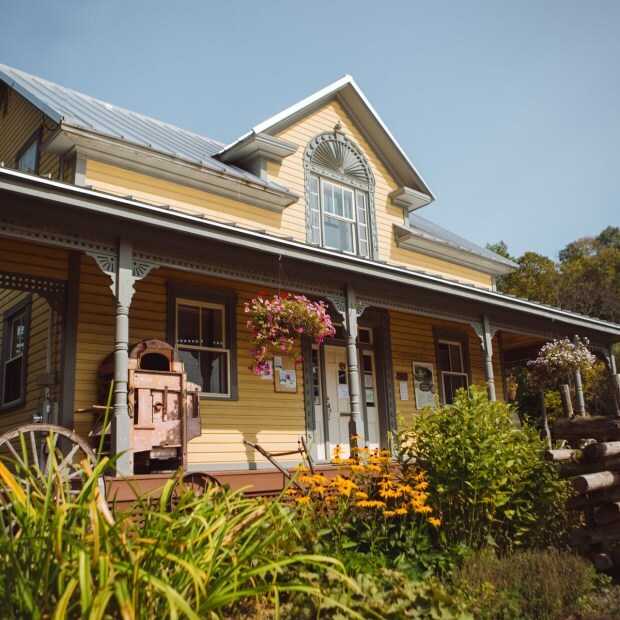 Built in 1861, the William Fairbairn family homestead now features a tourist office, exhibitions on local heritage, guided tours, a heritage log cabin, heritage barn, outdoor stage and access to walking trails. The Heritage Centre is located a stone’s throw from Wakefield’s famous red covered bridge.